It could be a beef steak, a pizza or a fish in the old wood fired hearth in Tuscany, any of those would be excellent. 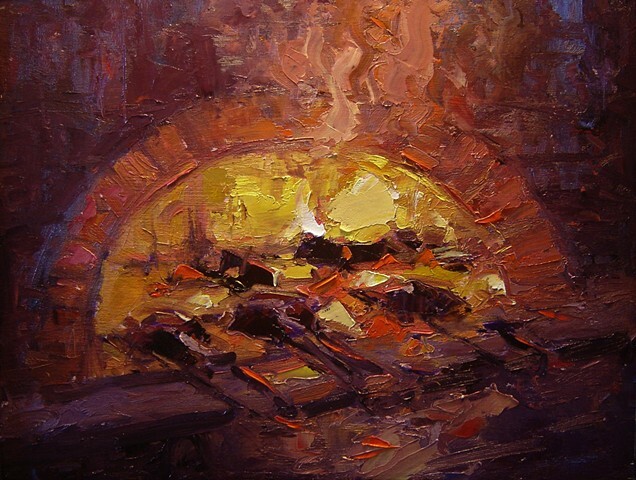 This painting captures the warmth and wood smoke scent with it's reds, yellows and deep purple color. Tuscany was named after the Etruscans who lived there hundreds of years ago until they were absorbed by the Romans.